Inevitably, one of the consequences of a vacation is reflecting on what makes for “the good life.” Certainly time for relaxation, indulging in some favorite hobbies, or enjoying the beauty of the beach, the mountains or even a new city all make life enjoyable and good. Yet, we know that the question points to something deeper within the human experience. We long for that greater happiness which we intuitively know exists. We know that beyond the experience of our favorite things, there is a bigger good – a more profound experience of the good and joy which does not come and go, but which lasts. But what is this greater happiness and good and how do we find it? The good we all seek is God – the Lord who loves us and is constantly drawing us toward himself and the ultimate good of life eternal with him – and our hearts are restless until we find this good. Moreover, God in his goodness, shows us the way. He gives us the path to the good life in the person of his Son, Jesus, who is the way, the truth and the life. The Lord teaches this idea of a good life in a special way in the Sermon on the Mount (Matthew chapters 5-7). Here, Jesus tells us of that ultimate good, saying that when crafting our lives, our focus ought not be on material goods, goods that have no permanent value, but rather should be on the goods related to God and the things of God. “Seek first the kingdom of God and his righteousness” and “store up treasures in heaven,” he says, rather than storing up “treasures on earth, where moth and decay destroy, and thieves break in and steal.” Indeed, “for where your treasure is, there also your heart will be” (Matthew 6:19-21, 33). Trading in the treasures of this world for God’s treasures means, as Jesus has taught, loving God and one another (Matthew 22:36-40). It means deciding to be courageous enough to be wholly dependent on God, to entrust our lives solely to divine providence, and to give to others, to reconcile and be forgiving, and to love even our enemies. All this is for many a huge step, yet it is the key to living well. Jesus assures us also that if we follow this way, we will have no need for anxiety, pointing to the life of the natural world, the way in which flowers grow and birds live, showing that nothing is too insignificant to be beyond God’s care. “If God so clothes the grass of the field which grows today and is thrown into the oven tomorrow,” he says, “will he not much more provide for you, O you of little faith?” (Matthew 6:31). 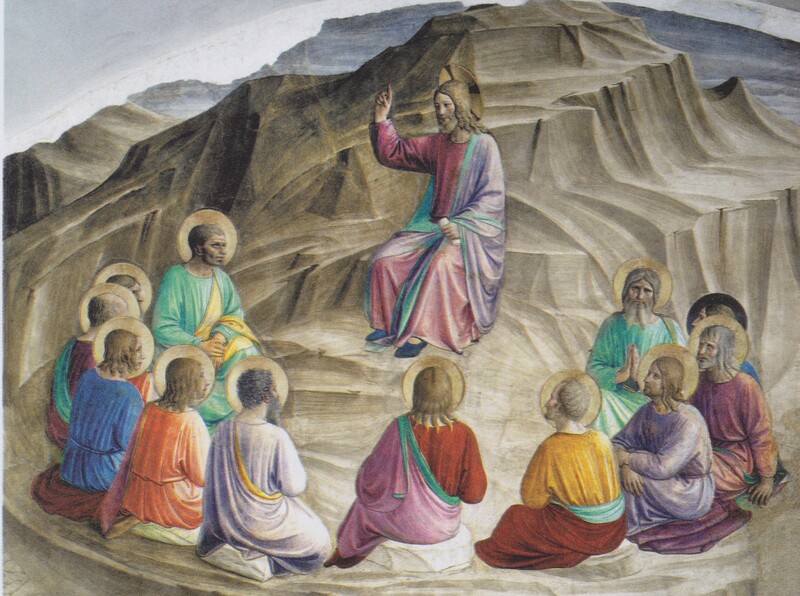 The Sermon on the Mount ends with Jesus giving counsel which we should follow: “Everyone who listens to these words of mine and acts on them will be like a wise man who built his house on rock,” rather than like the fool who built on the sand of worldly things (Matthew 7:24). If we build our lives on the rock-solid foundation of God and his love and fidelity we will obtain that good and happy life we seek.